Ella Scheinwald is a well-respected executive and business strategy advisor who specializes in facilitating client problem solving. Her techniques and expertise empower executives, managers and other professionals to define clear objectives and strategies, work efficiently, improve communication skills, foster team dynamics, define visions and be a motivating and inspiring force in their organizations. In the process, clients receive the support, challenge and motivation to attain greater fulfillment and better results in their endeavors. Their leadership is strengthened and solidified. Ella coaches executives individually and in groups, and works with all industries from multi-billion dollar global companies to privately owned small enterprises. She also provides personal coaching and consulting services to individuals, as well as to public figures. Ella’s practice initially focused on business consulting for start-ups, small and medium size firms. A sought-after speaker internationally, Ella has delivered presentations on global business, cultural differences in business practices, coping with financial uncertainty, and other topics. Prior to her coaching career, Ella was previously the CEO in the USA of Piguet International, COO of Casa Mayo LLC and a Communications Expert for various private and governmental agencies. Ella graduated from the Sorbonne University in Paris with a BA and Masters Degrees, and completed another MA and a Post-Graduate Degree at the Monterey Institute of International Studies. She is a certified business and personal mediator in USA and Israel, and received specialty training at Coach University. A supporter of pro bono work, Ella has volunteered her time to coach at the Women’s Enterprise Development Center and the Northern Westchester Shelter, where she served as a mentor coach in a leading national pilot project. Ella has served as Board Member for Spirit of Israel, the Reali School Center for Peace & Tolerance, Eastern Group Psychotherapy Society, and others; she also served as co-leader of ICF and steering committee member of the Westchester-Rockland Coach Chapter. 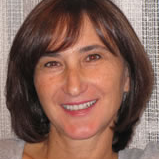 She is currently Board Member of Stark Office Suites, and has served as Board Member for Eastern Group Psychotherapy Society (EGPS) as Communication Task Force co-chair, American Group Psychotherapy Association (AGPA) and as pro bono strategic advisor to Moatza Mekomit NY and We Power Organization.